Acid burns by what is in it (a high + on the PH scale). Alkaloid burns by what is NOT in it (it is a – on the PH scale). The Alkaloid burns because of the absence. I was thinking about Alkaloid burns today at a community event today. It was a event when the community organisers specifically tried to invite the Churches along, and the Churches largely shrugged them off. As I think of leaving the question I ask is, “will the Christian Community be present in any form?” -I worry that largely not. when we saw Christians engage with Street Pastors in love, service and prayer in our local communities night time economy, crime rate fell, the PH rate rises. The Church being the Church in our communities is what is needed, when the Church is being the Church, the Kingdom advances, it is justice for the oppressed, it feeds the hungry, embraces the lonely, gives truth to the confused. “The Great Harvest never happened here because the mission community were stuck in a side room arguing about what colour to paint the combine harvester”. In the absence of hope, purpose, freedom and love it provides the presence of God. In destructive and decay we bring healing, wholeness and restoration. You see we are the light of the world, but too often we enjoy being bright and shiny, with other bright lights, but never go anywhere dark where the light is needed. 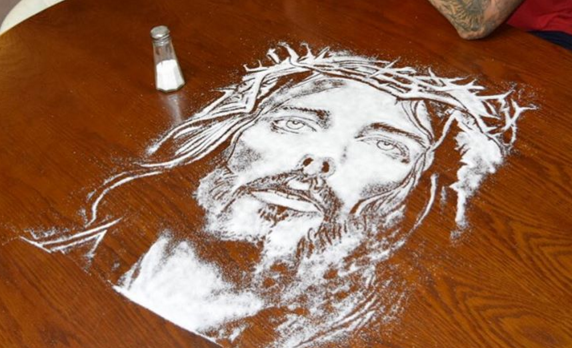 The with-drawl of the Church is not just attacking an institution, but rather it is a challenge and an indictment against us all, we all have a personal responsibility to bring the light of Christ to a dark and dying world, we carry the presence of Jesus where-ever we go, the aroma of Christ, the salt of the world. Salt combats decay, what should we do when we see our community decaying -perhaps we ought to up the dose. Yet, where are Christians protesting to their local MP’s, where are the Christians praying for their communities to be drug free, or free from violence. James says “we have not because we ask not” so let’s ask, and ask and ask some-more, let us bring the presence of Christ into more and more of our community. Even our Churches burn people with alkaloid, as they come to us for help, and we feed them, clothe them, listen to them and love them but too often we don’t share with them Jesus who is at the heart of all our human longings. Too often the Church lets the PH levels creep past neutral into minus figures (burning levels) by taking he cash of people who forbid us talking about Jesus and praying with people. So, let us advance into our Communities rather than withdraw from them, and alter the PH levels of our communities, in Christ’s name, let’s see our communities go from minus to plus.